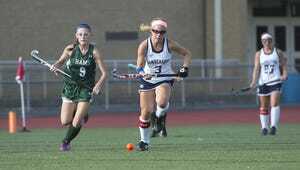 The Public Opinion Field Hockey All-Star team features 9 seniors on the first team. MADISON SCHMUS, Chambersburg, sr., def. : With three goals and two defensive saves for the Trojans this season, Schmus was a threat no matter where she was on the field. As a returning P.O. first teamer, she picked up right where she left off. 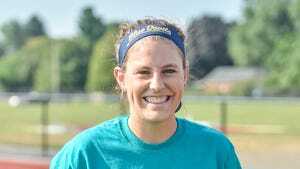 “She’s probably one of the hardest working individuals on our team,” Chambersburg coach Jen Amsley said. “She is very disciplined and she really truly understands the game. Always positive and a very unselfish player." MADDIE KLINE, Shippensburg, sr., for: Kline led Shippensburg with 13 goals this season as a powerhouse goal scorer for the 8-9 Lady Hounds. She was third overall in the area with 27 total points, and the top Franklin County goal scorer. She had one assist on the season in addition to more than half a dozen goals. Kline is a returning P.O. first team player, and was selected to the Mid Penn Colonial Division first team. ZOE HOLTRY, Shippensburg, so., for: Holtry, who is just a sophomore, finished the season as the seventh-ranked scorer throughout Franklin and Fulton Counties, with 21 total points thanks to 10 goals and one assist. Holtry jumped from a P.O. Honorable Mention last year, to a first teamer in 2016. She was also a first-team selection on the Mid Penn Colonial All-Star squad. Holtry is the only non-senior on the P.O. Field Hockey first team. Chambersburg — Molly Keefer (so., for), Sage Piper (jr., for), Jessa Corwell (sr., def); Greencastle-Antrim — Alexis Dougherty (so., for), Moriah Ricker (so., for), Bryanna Conway (jr., for); Shippensburg — Kourtney Shoap (so., for), Lexi Alleman (so., for), Rachel Kline (so., mid); Waynesboro — Katie Wise (sr., for), Sara Gsell (sr., for); Forbes Road — Mara Broadwater (so., for), Maiah Mellott (sr., mid), Sierra Everhart (fr. ).